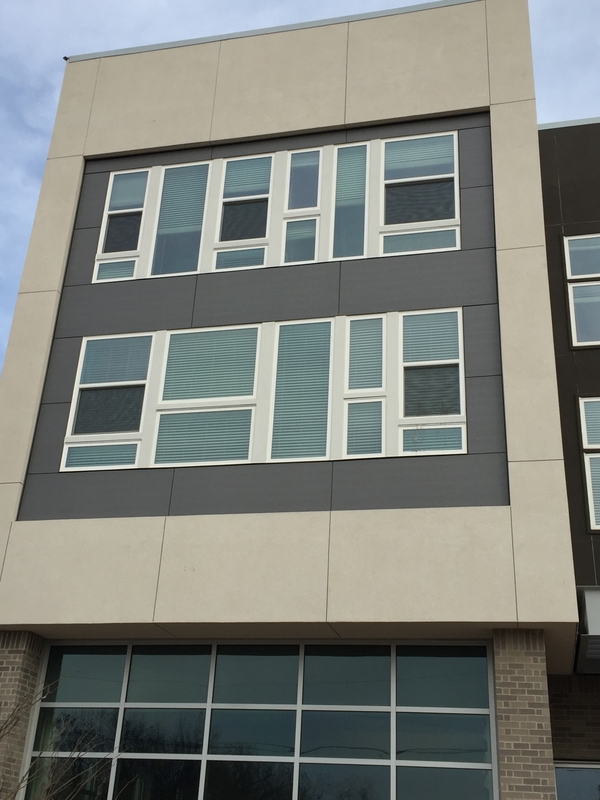 Nineteen Stonewood Architectural Panels were installed on Cypress at Trinity Grove, a multi-use development in Dallas, TX. 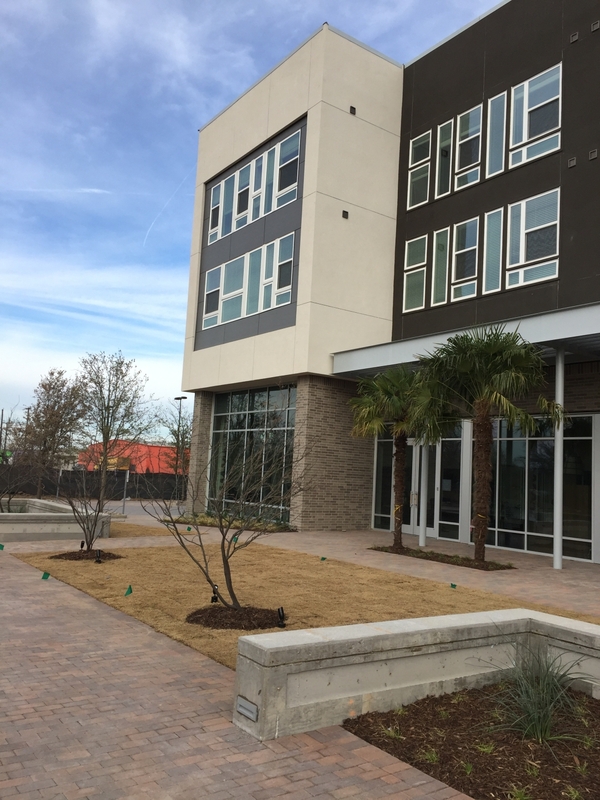 The three-phase apartment project is located directly across from the popular Trinity Grove restaurant incubator that has revitalized the surrounding neighborhood over the past decade. The first phase in the project, started in the fall of 2015, includes 352 units and 35,000 square feet of retail and restaurant space. The buildings are designed as four- and five-story wood-frame buildings on concrete podiums wrapping around concrete parking structures, with ground-level retail space where feasible. 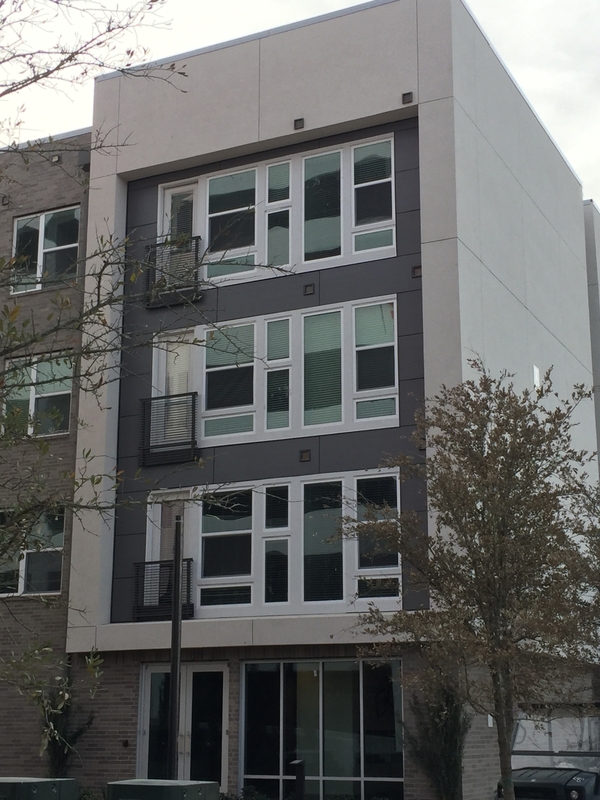 Stonewood panels were chosen to provide an exterior aesthetic that was consistent with the surrounding single family units and modern restaurant spaces. Size 8mm x 48" x 96"